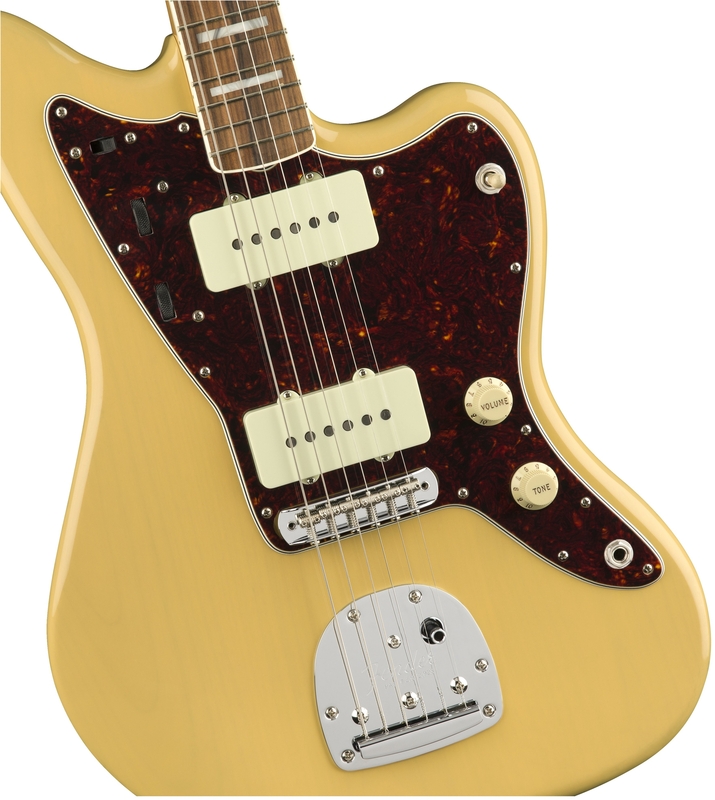 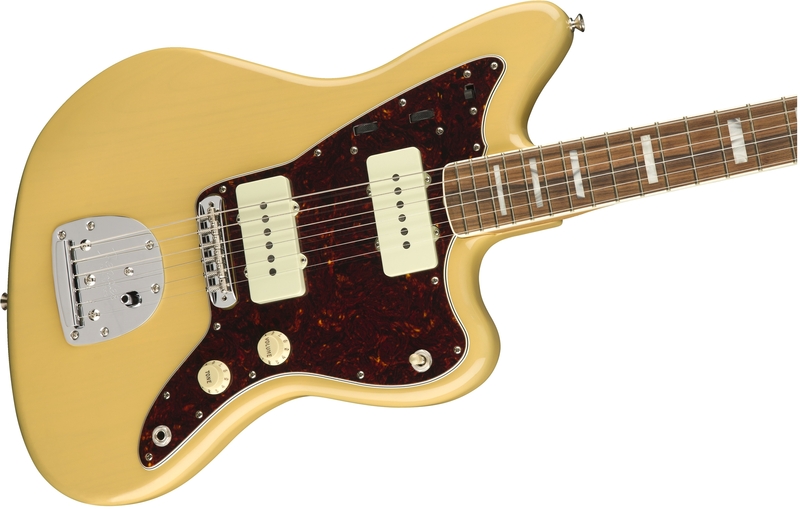 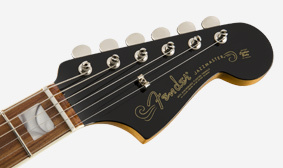 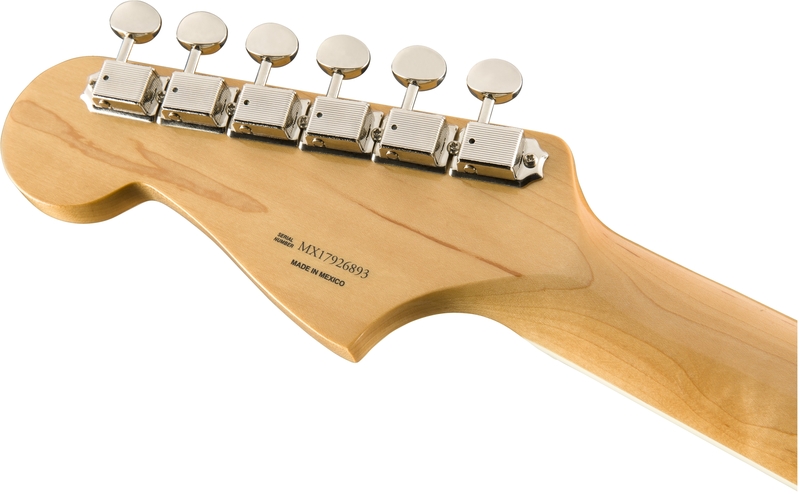 Vintage single-coil pickups provide classic Jazzmaster style tone, warm, wide and dynamic. 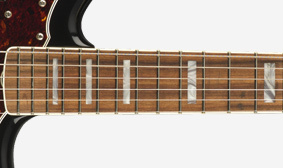 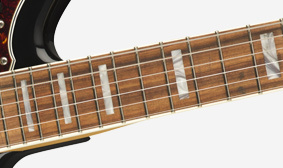 The 9.5" radius fingerboard is slightly flatter than a vintage-style radius, which, combined with the narrow-tall frets, makes it easier to bend notes without fretting out. 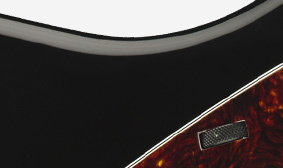 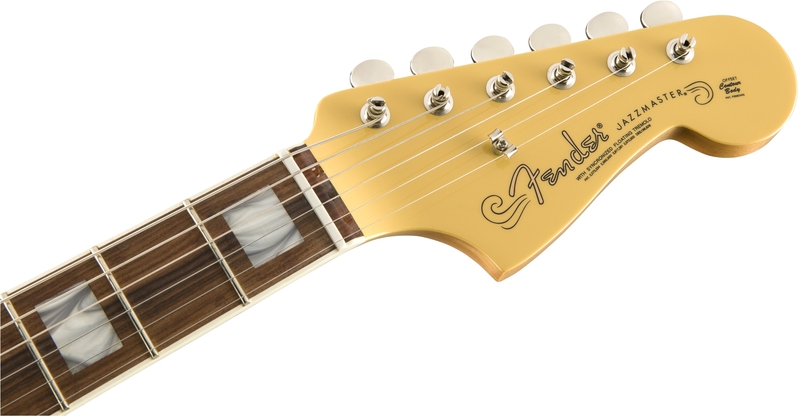 Since 1966 the classy, high-end look of block inlays has been a classic Fender stylistic element. 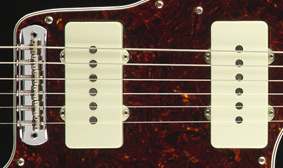 They look better than ever on this maple neck with elegant binding. 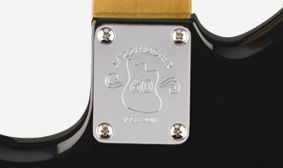 In addition to its other highly distinctive features, the 60th Anniversary Classic Jazzmaster features a matching painted headstock.